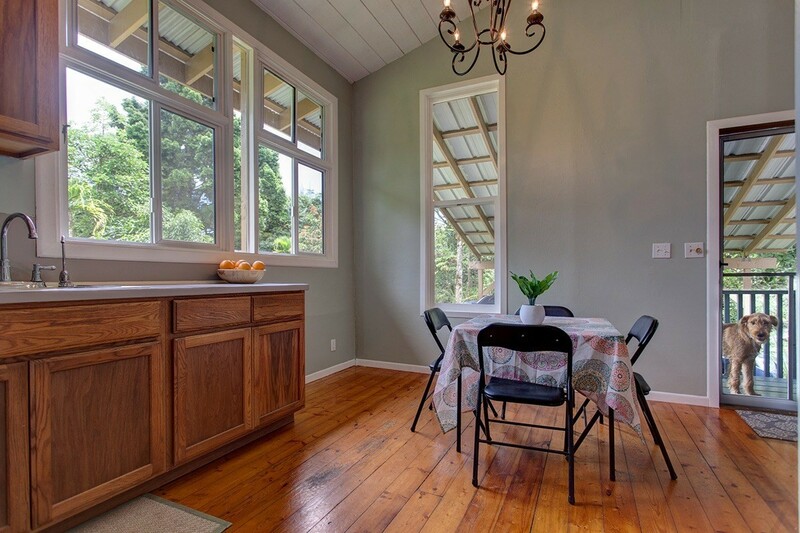 GREAT PRICE on this super cute country style house. 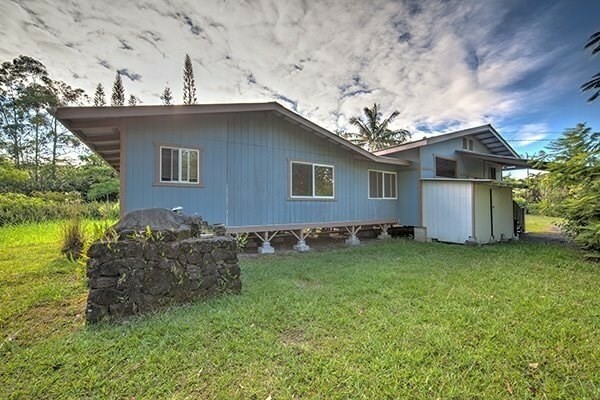 GREAT LOCATION on 19th Avenue off of Kaloli nearer to the cul-de-sac. 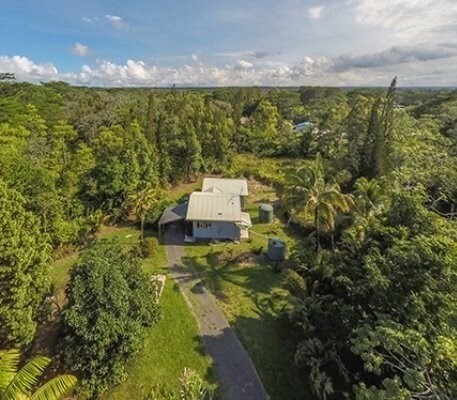 SUPER PRIVATE with no neighbors around you or that you can see. 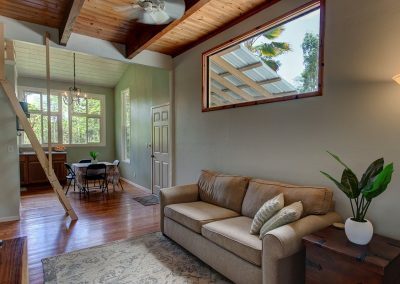 Looking for an affordable, comfortable home? 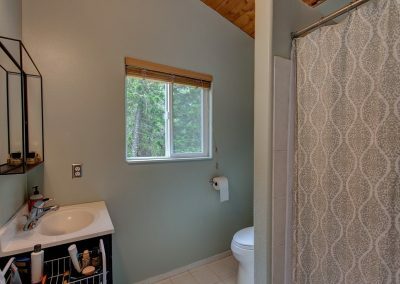 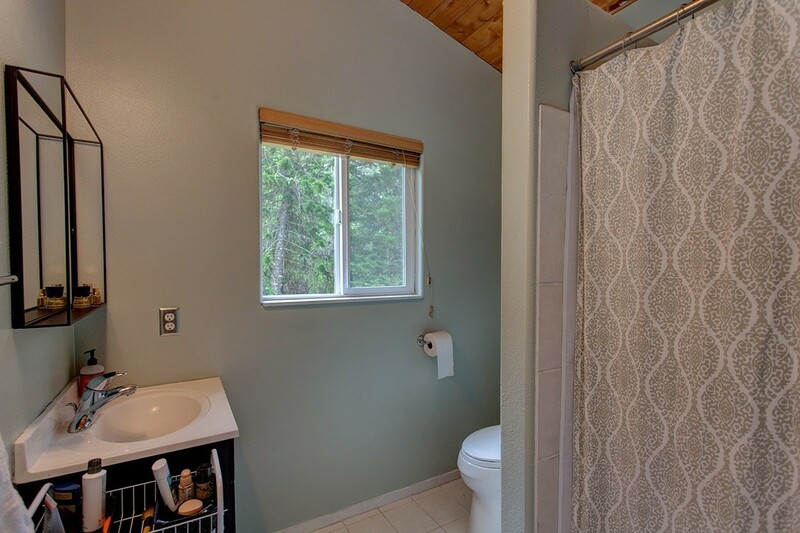 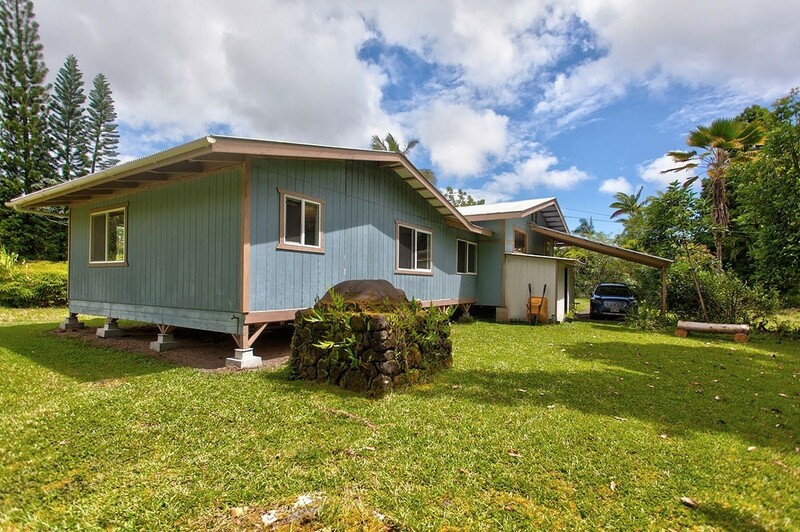 This 3 bedroom, 2 bathroom home may be it! 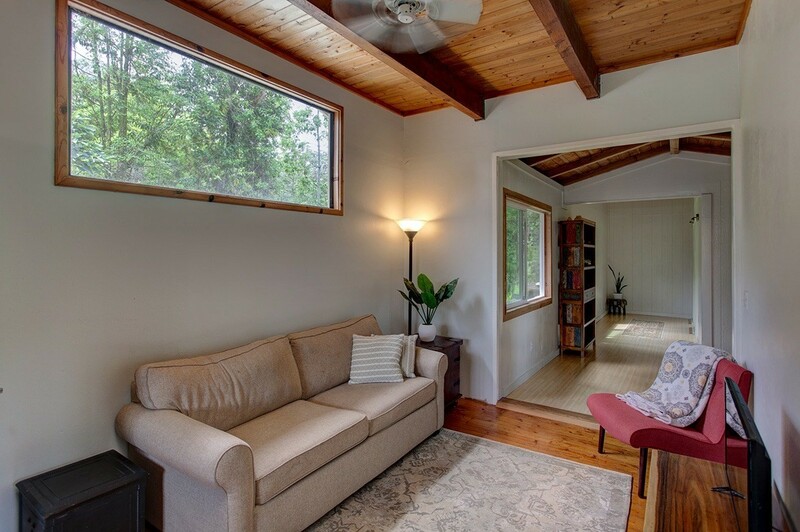 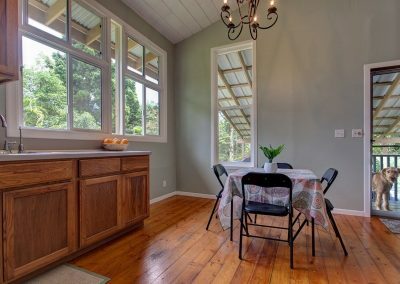 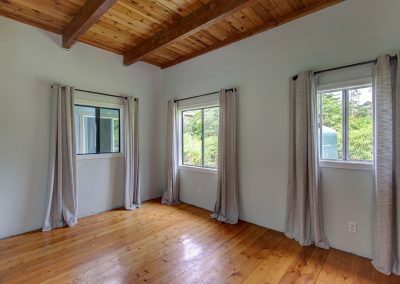 The front of the home has the living area and kitchen both with big windows to let in light and air, vaulted wood ceilings and rich honey colored pine wood floors. 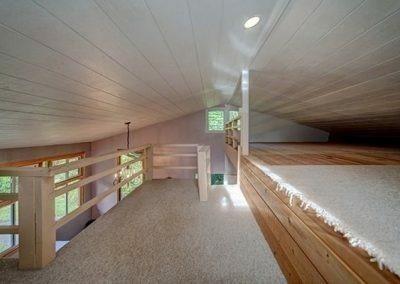 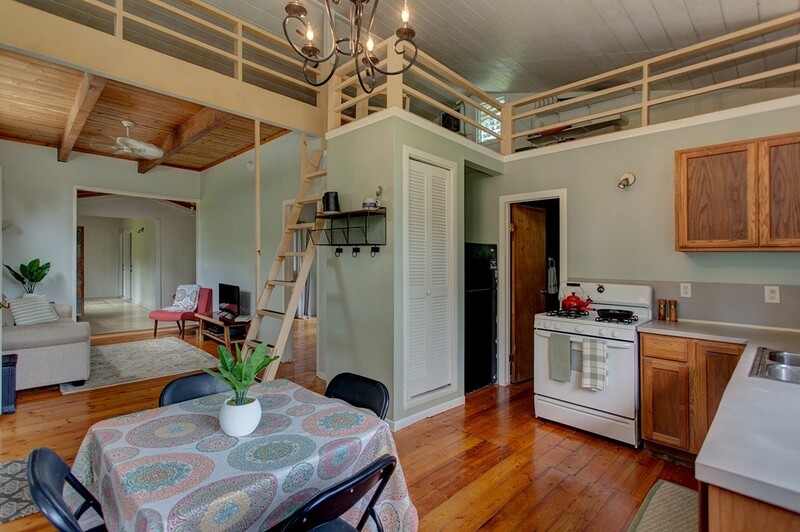 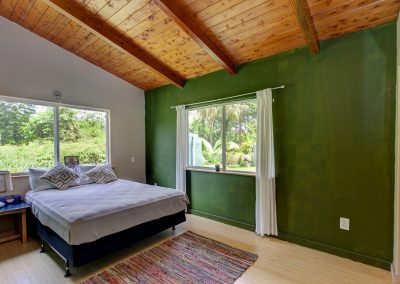 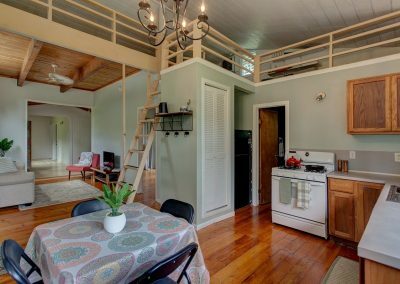 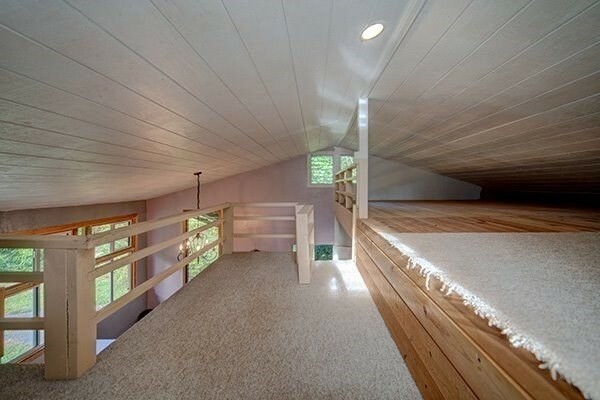 There is a loft which can be used for sleeping or storage, a bedroom and guest bathroom. 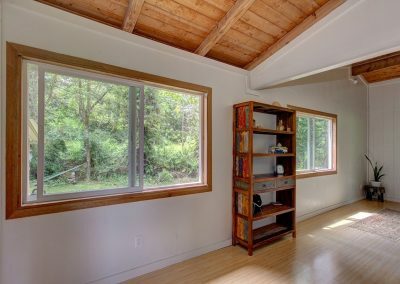 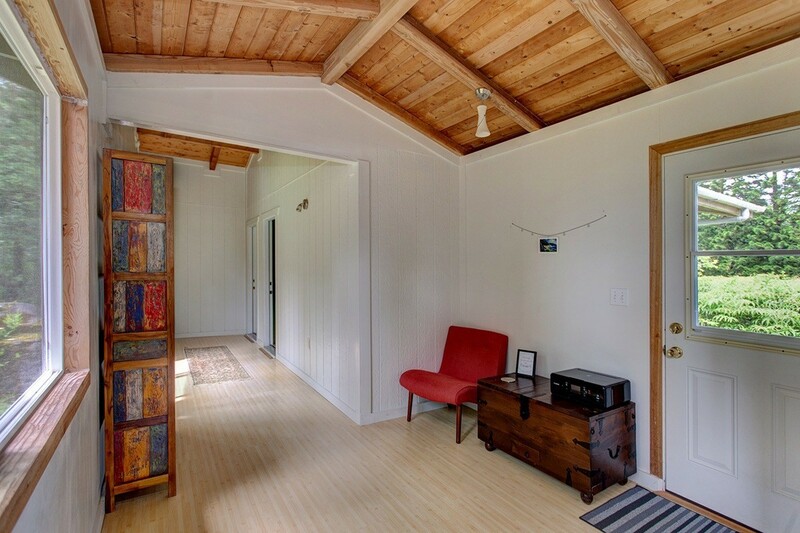 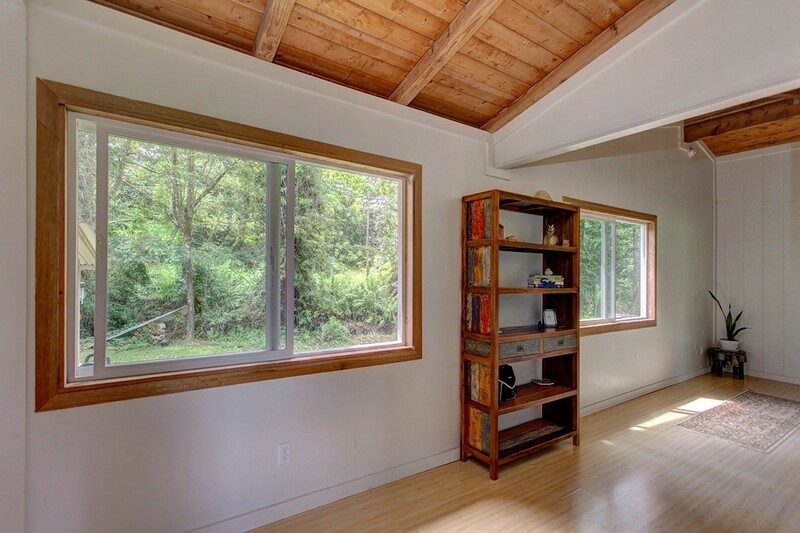 The back side of the home has a wide hallway or seating area where the high wood vaulted ceiling continues, large picture windows and a side door access to the yard. 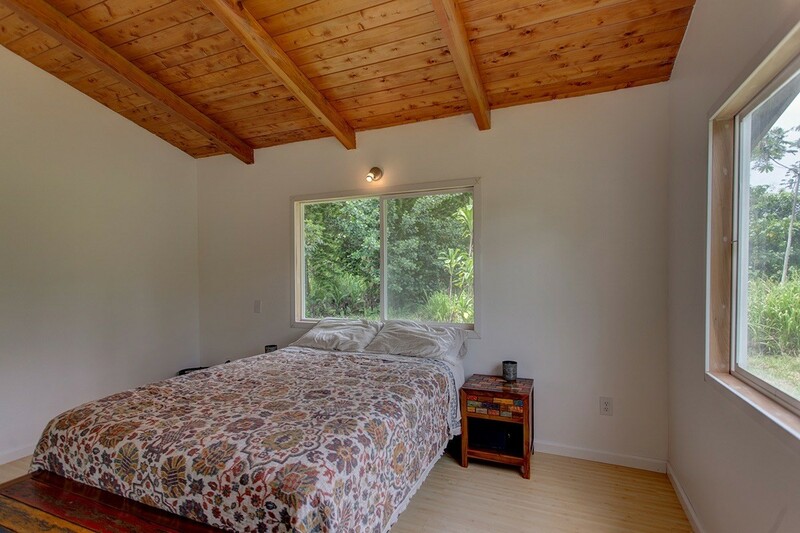 A second bedroom, the master bedroom and master bathroom are located on the back end of the home. 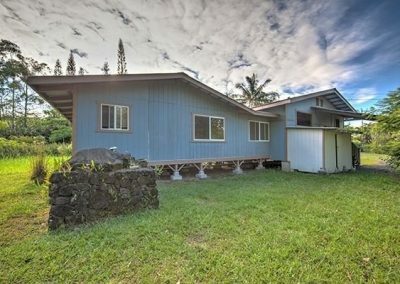 Built on post and pier there is great air flow through and around the home keeping it cooler and dryer. 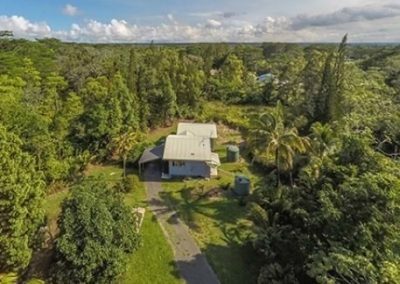 A new catchment tank is being installed and will be completed by the first of July. 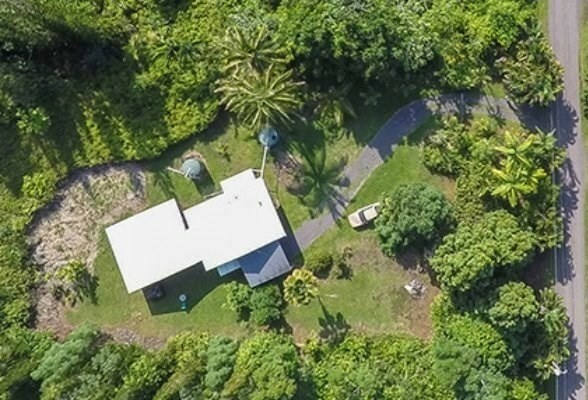 There is a large lawn surrounding the house with fruit trees such as avocado, citrus and mango. 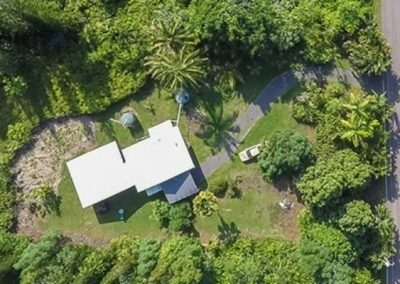 There are pineapple plants and tropical ornamental plants throughout the yard. 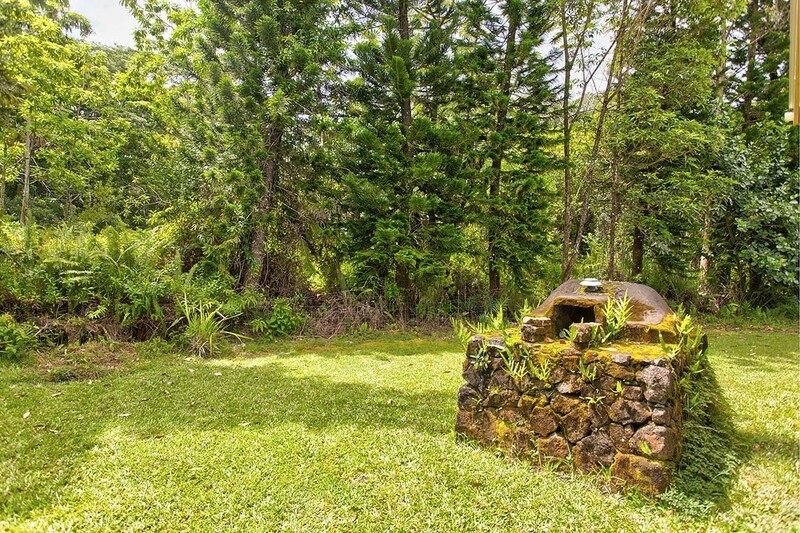 There is even a Pizza oven! 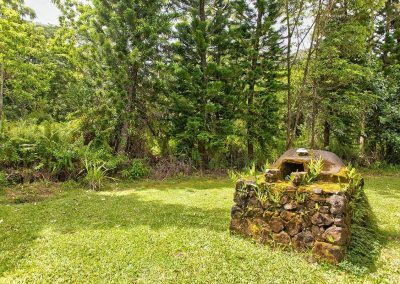 The property is fenced and gated, so it is a great yard for keeping pets in and other things out. 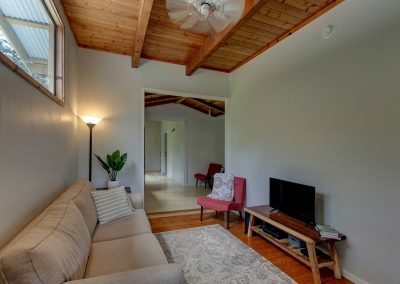 There is high speed cable internet and TV available. 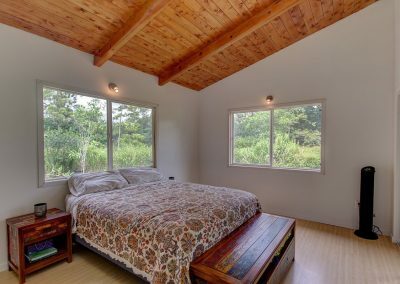 The home is a short drive to the Pacific Ocean shoreline where you will find coastal parks – a great place to walk, run, watch the sunrise or fish. 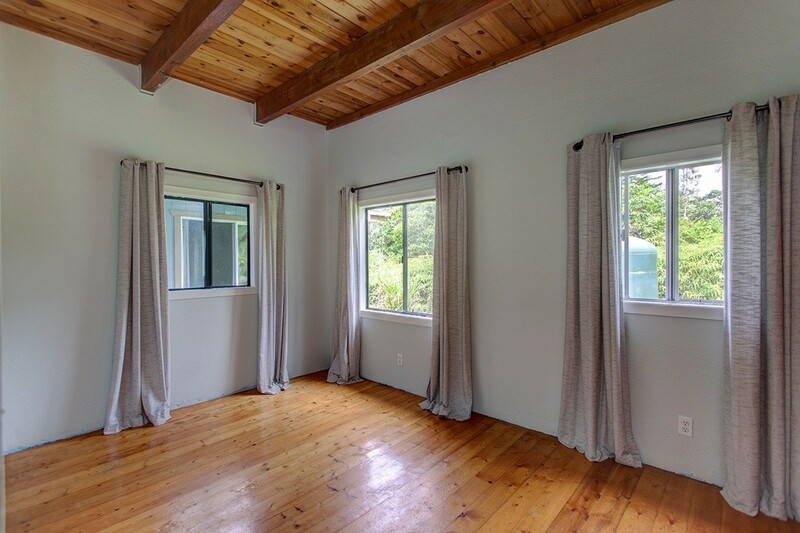 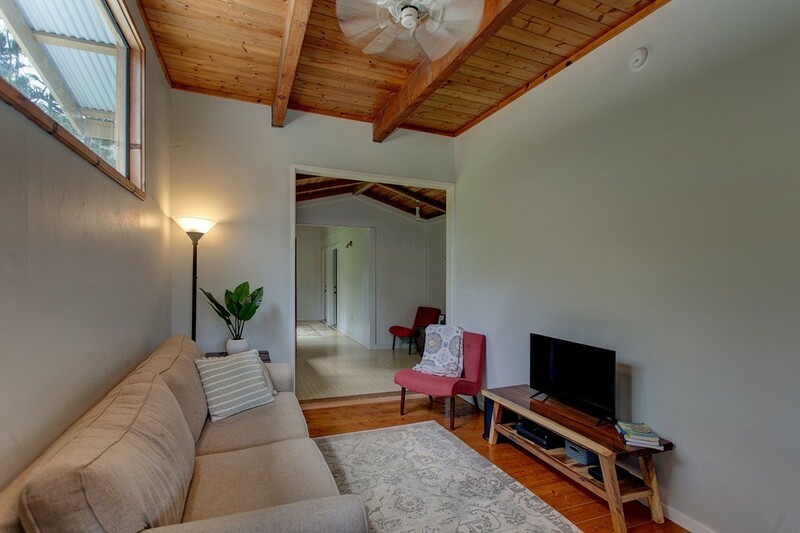 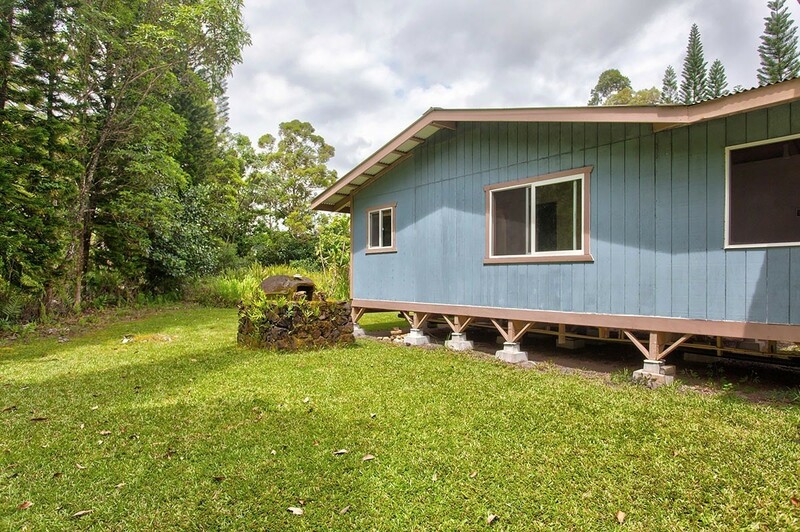 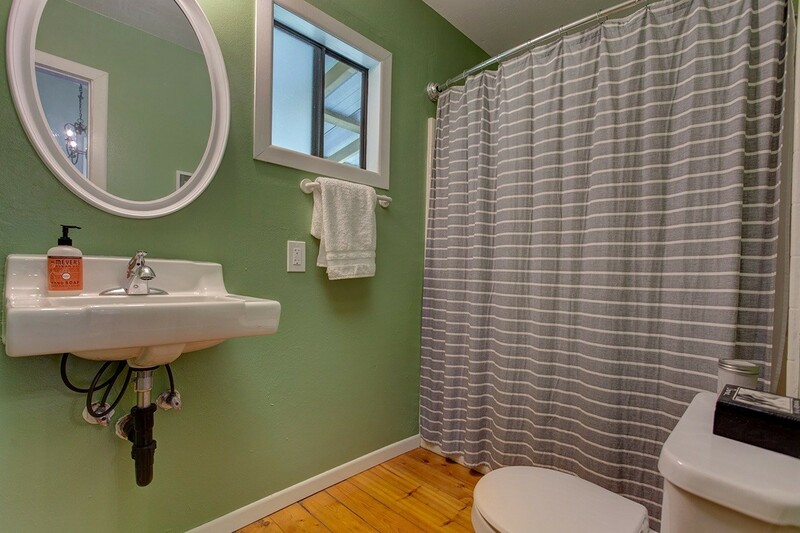 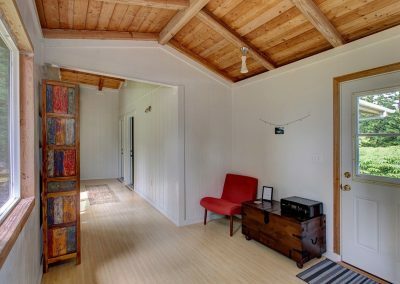 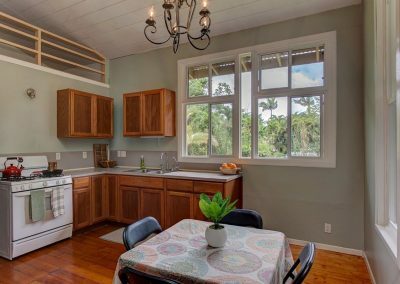 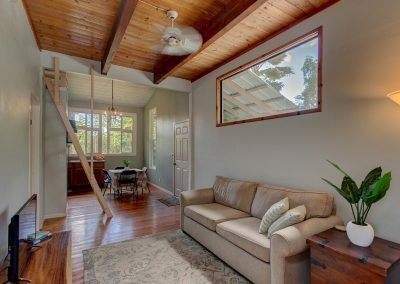 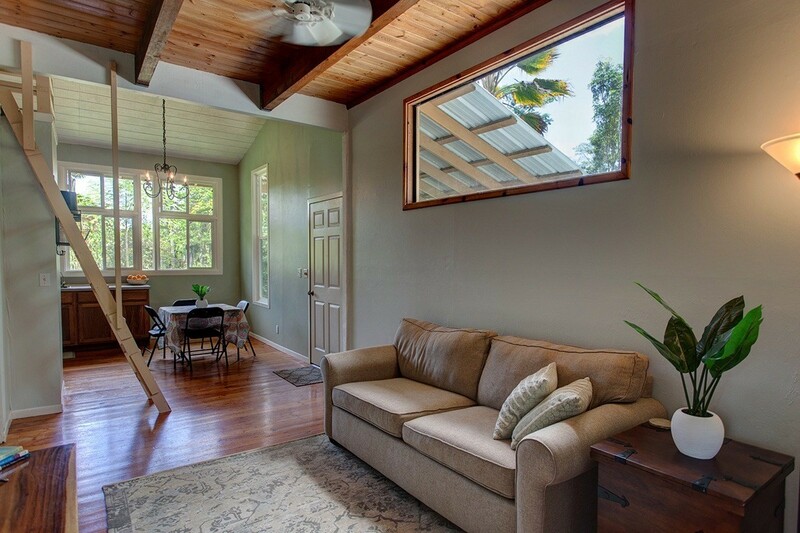 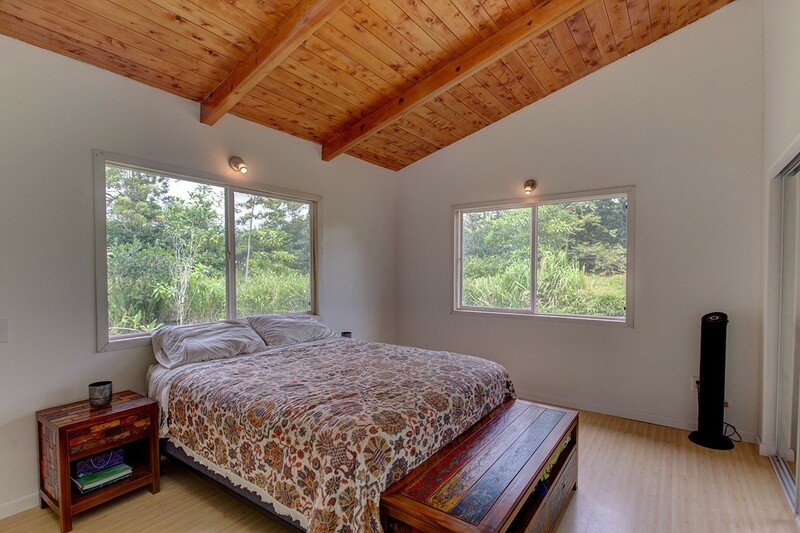 It is a 20-minute drive to Hilo and all its conveniences including a major airport. The property is also a 15-minute drive to Pahoa Town where you will find restaurants, community library and free Olympic sized swimming pool. 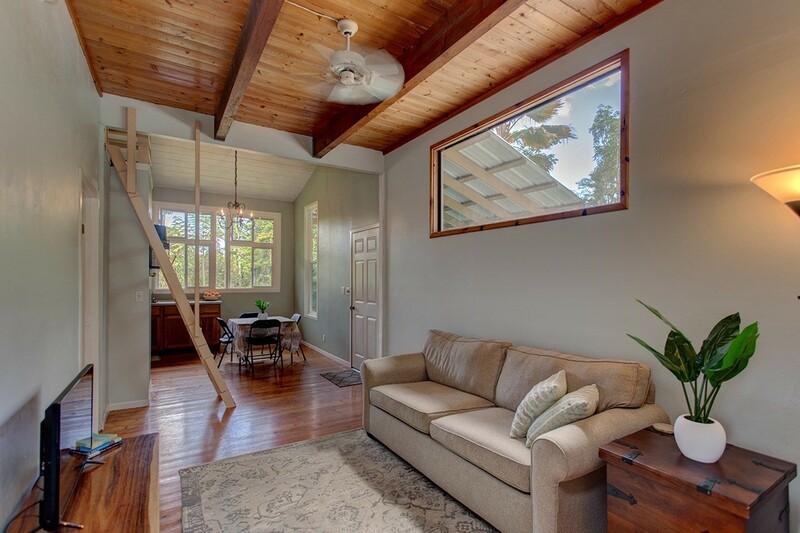 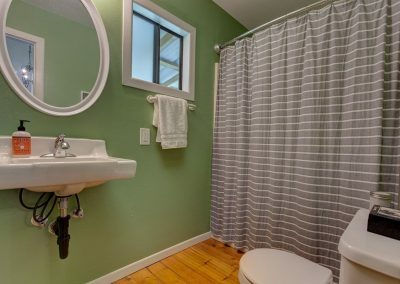 Great opportunity to purchase this super cute, private home at a great price.